If you want to add a touch of tangy flavour to your food, you can try adding a little sweet chilli sauce to your recipes. Depending on the style of cuisine you are preparing, you can always use the "Sweet Chilli Sauce" from Fontye. It can be used as a dip or an ingredient to your dish. 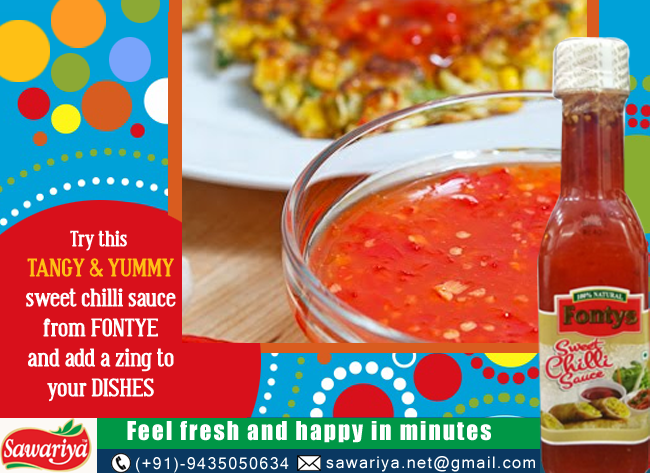 Now relish your burgers, rolls and wraps with the yummy sweet chilli sauce.